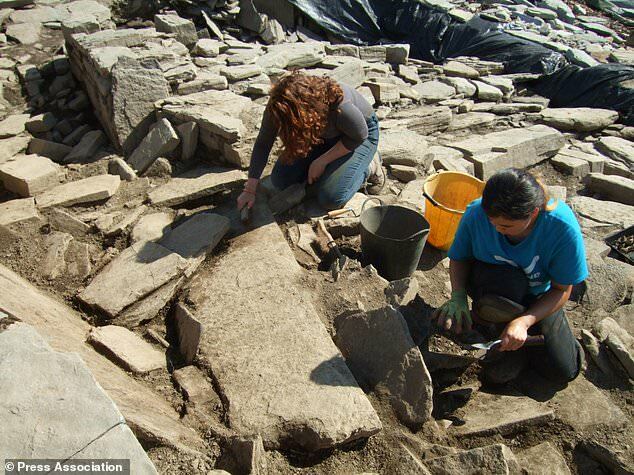 Archaeologists have discovered imprints left by the hands and knees of a Pictish metalsmith worker while excavating an ancient settlement in Orkney. 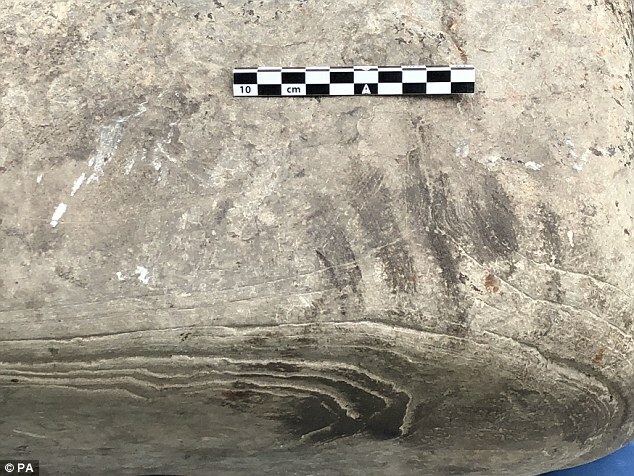 The marks left by the smith's hands and knees, which have been described as 'unique' by experts working at the archaeological site, are believed to around 1,500 years old. 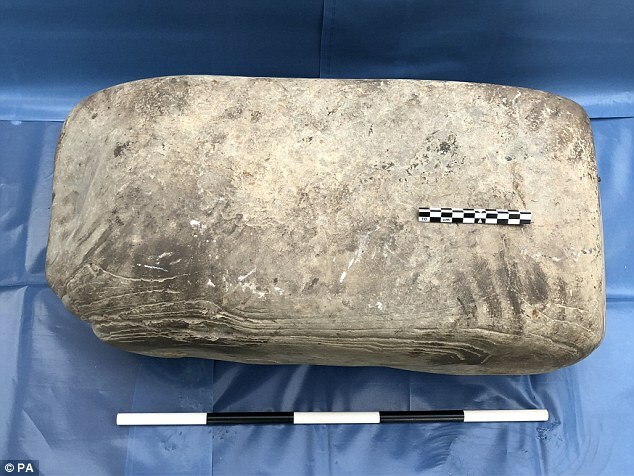 Archaeologists found the imprints preserved on a stone anvil in the metalsmith's workshop on the island of Rousay, the largest of the Orkney Islands. 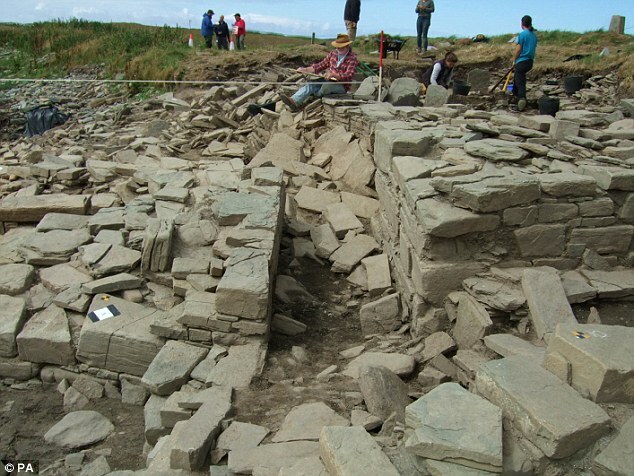 The building is part of a substantial Iron Age settlement known as the Knowe of Sandro, which is being destroyed by the sea. The Picts were a collection of tribes who lived in what is today eastern and northern Scotland during the Late Iron Age and early Medieval periods around 270 to 900AD. 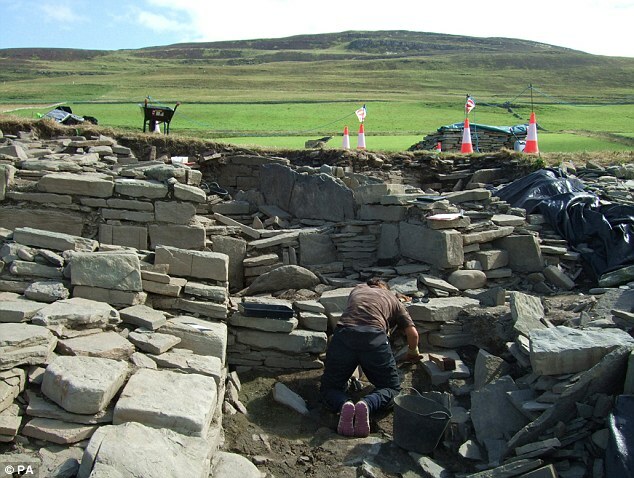 The site is being examined as part of an excavation project directed by Dr Julie Bond and Dr Stephen Dockrill, both from the University of Bradford. Initially when researchers saw the strange prints they thought it was made by one of the archaeologists working on the site. However, closer analysis revealed they were left by the ancient metalsmith who was working in this dark chamber between the 6th to 9th century AD. The team analysed crucible fragments and floor deposits, which provided evidence he was working with copper, brass and other metals. 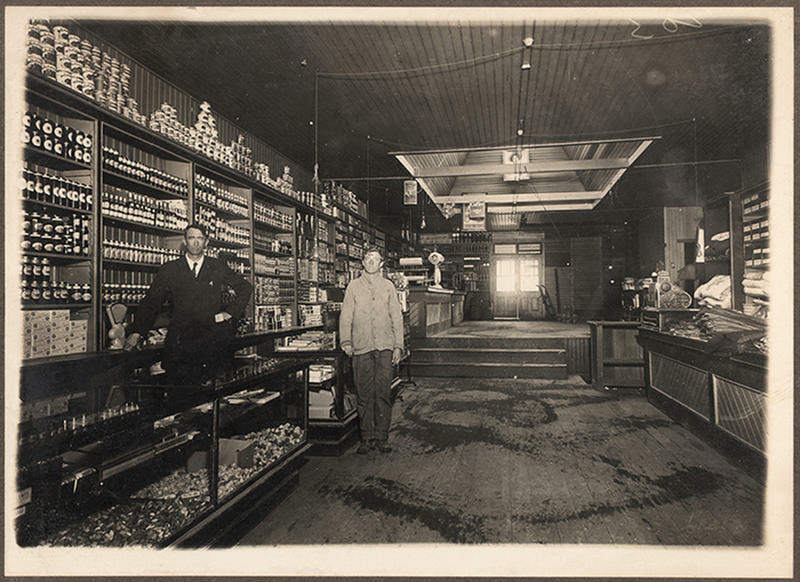 The underground building was entered via steps and a curved corridor. This would have minimised the amount of light entering the smithy, allowing the smith to assess the temperature of the hot metal based on its colour. 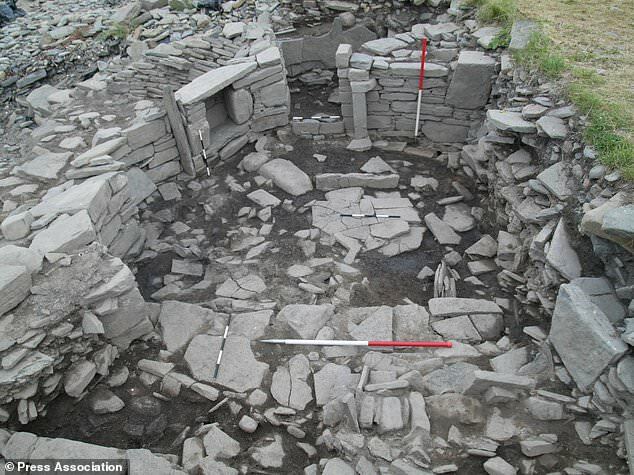 The centre of the small underground building was dominated by the hearth, with a set upright stone on the doorward side protecting the hearth fire from drafts. 'I have never seen anything like this before. It's unique as far as I know', Dr Dockrill told the BBC. 'Knowing that this is a Pictish building, I would guess the prints are somewhere between 1,000 and 1,500 years old,' she said. The Picts formed a tribal confederation whose political motivations derived from a need to ally against common enemies such as the Britons and the Romans. 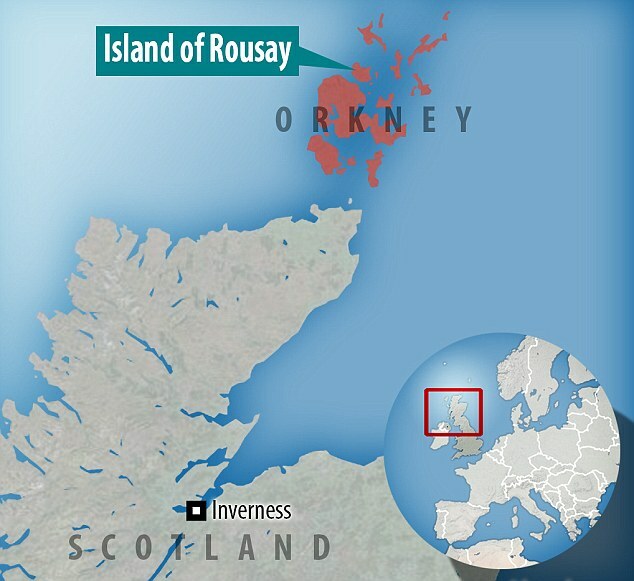 Picts held the territory north of the Firth of Forth in Scotland – and were one of the reasons even heavily armoured Roman legions could not conquer Scotland. 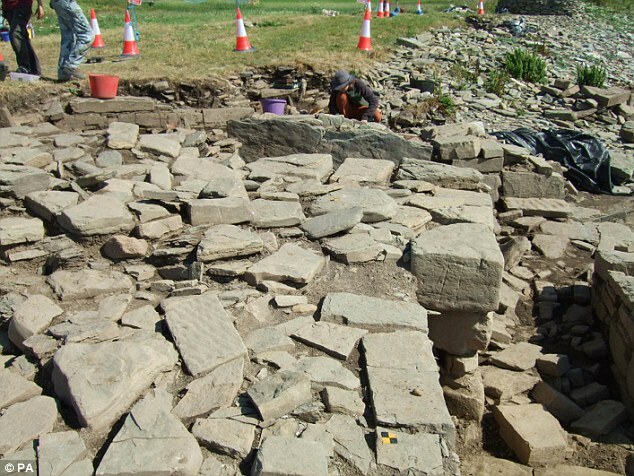 The Picts mysteriously disappear from written history around 900AD. Experts suggest that they likely merged with southern Scots, who already had a written history by that time, combining the history of the two clans.